There is a part of Roy Farriester in most Modesto street rods. For decades, Farriester Auto Wreckers was the hangout. The car guys and clubs used to pick and pull the parts to rebuild their cars. Roy lived most of his life in Modesto. From an early age he loved cars and hot rods and the people who were involved with them; drag racing, hanging out at Burge’s Drive-In and cruising 10th Street and all the things kids did for fun. Roy Farriester was a student at Modesto High School during that time and he did all those things and more! Roy drove a ’36 Ford sedan back then. 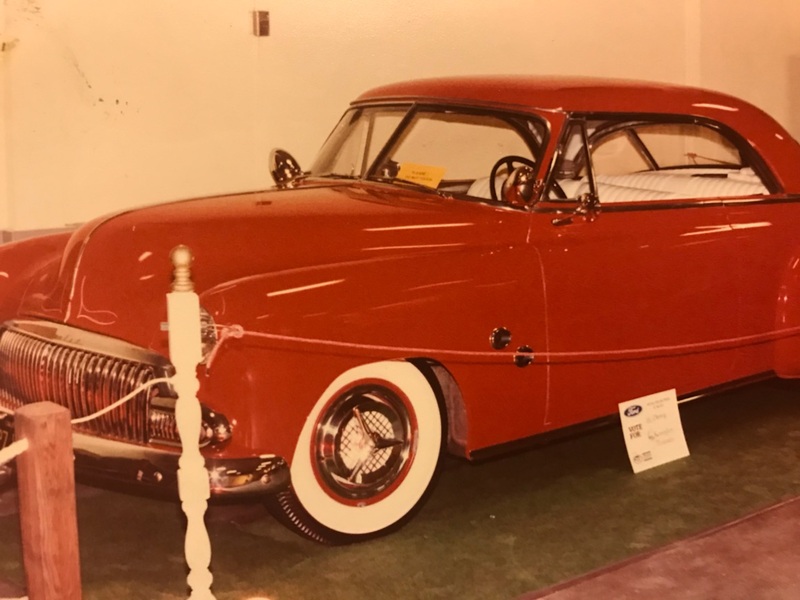 He was a founding member of the Throttlers Car Club in 1950. In July of 1952 Diane Center tagged along with her friend, Vita Evans, who had to pick up something at the cleaners. After their errand they went into “The Long Dog” which was a little hot dog stand across from Modesto High School. Roy and Diane met there that day and began steady dating. Diane was a freshman and Roy was a sophomore. 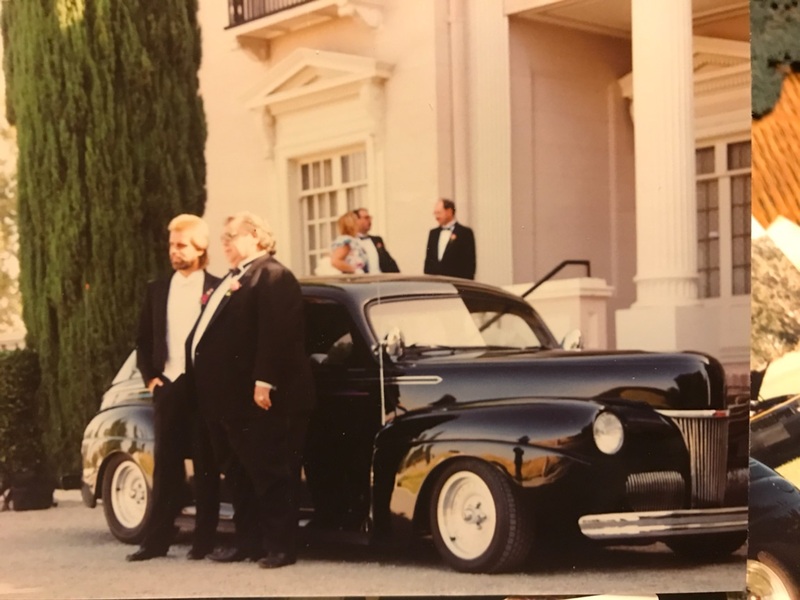 Roy taught her how to drive in his father’s 1946 Lincoln Zephyr V12. During their dating years Diane had to be home by 10:00pm. One evening she had special permission to stay out later so she could see all of the movie “Quo Vadis”. She fell asleep before it was over and missed it after all. Usually Roy would take Diane home at her 10:00 o’clock curfew and then head back to 10th Street, or whatever street that was serving as the local “drag strip” at that time. A popular pastime was oiling the street corner of 10th and burning their tires when they drove through it. Roy’s ’36 gave way to a ’40 Ford sedan about this time. Roy and Diane got married in December of 1954 and they had a son Mark and a daughter Sherrie who sadly passed away two years after Roy. Anybody who ever did a backyard repair job on their car has probably done business with Farriester’s Auto Wreckers. His son Mark attended Beyer High and MJC and joined him at the wrecking yard. 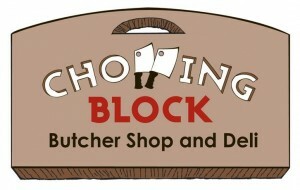 Roy enjoyed working there until the end of his life as it was his passion. Sadly the wrecking yard closed in 2013. Roy owned many cars over the years. 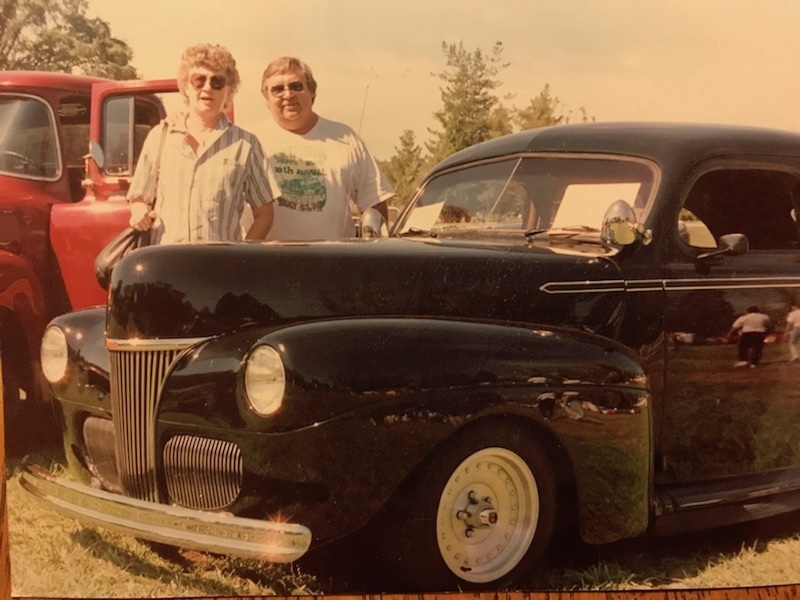 He was well remembered is his custom Chevy by Winfield, and later his tall T. Of course, everybody is familiar with Roy’s black ’41 Ford Sedan that was his trademark for many years. 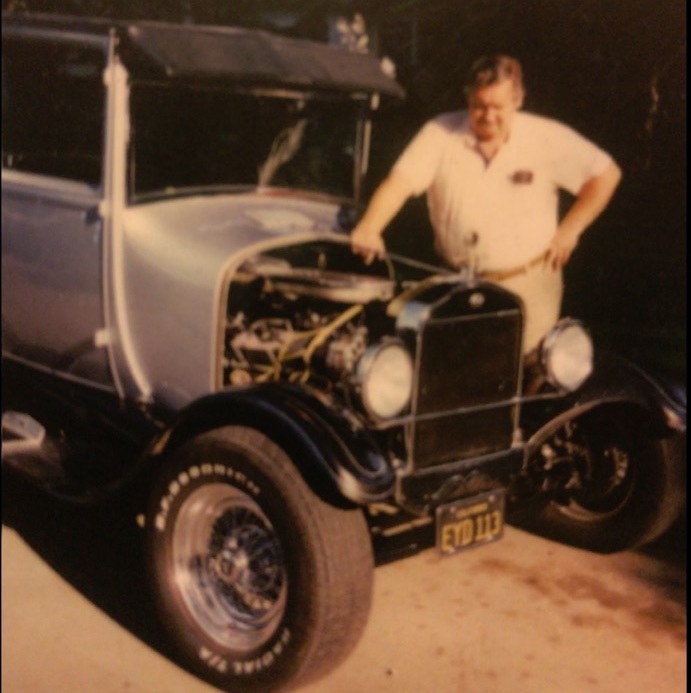 Roy suffered a serious heart attack in 1981 but recovered and continued as one of Modesto’s greatest supporters of Street Rodding and all things pertaining to the 50’s era. Roy passed away in 2011 at 75 and we celebrate him as a legend of the Cruise.